Interior Designers’ Plan Your Space Greatly!! Home / Blog / Interior Designers' Plan Your Space Greatly!! El Nido – Interiorz by Shalini has added a new feather in its cap, by designing an entire collection for the residential home décor ideas in luxury. Keeping the art of style, taste and personality, we have given wings to your lifestyle. We strongly focus on the client taste, choices and their dreams by providing the best commercial interior designing services in Gurgaon. When it comes to art, we make our clients buy the luxury by offering a unique and personal touch to the interiors. Working closely with the flawless designing services, we galore the art of providing you with a finishing reflection of your personality. Modesty at heart, quality at work, sensitivity towards client’s dreams make us apart from rest of the architects & interior designers in Gurgaon. Our collections of the designs have been the talking point of our clients. They have given us the complete freedom to do something unique for them. Our collection is inspired by the richness and intricate designing of exquisite objects to the functional pieces for commercial spaces. 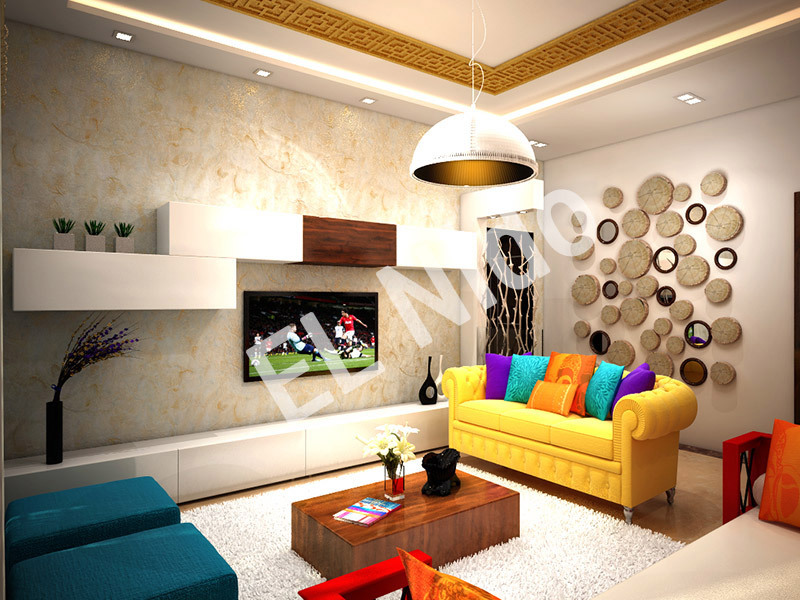 Having garnered appreciation as the only interior designer in Gurgaon, we make meaningful memories. Supported with the team of dedicated professionals, we add colors and beauty in your lifestyle. El Nido – Interiorz by Shalini have been successful in completing the residential and the commercial projects with quality textures and ambience too. Minimalistic rooms require great interiors, and this is best proven by our team of experts who attempt to make the best use of the available spaces. The commercial designs that we make are designed with perfection. Our team always strives to give all our clients the best designing experiences. Our look-beyond-the integrated approach, has always won hearts of millions. We first understand our clients’ home decor requirements. Having gained their perception, we take on the roles of our clients and put ourselves into the space that we are about to design and furnish for them. We look to the world around us and its textures to expand our thought process. We have appropriate planning strategies to interiorize your places. Vastu-shastra is our first look out. So, we plan everything in accordance with your construction requirements. There are thousands of employees who work in making the things work luxuriously. Creativity and innovation have been our best companions to make luxury happen.